A plumbing emergency at your home or business is not a reason to panic. Contact Orange County Plumbing Heating & Air Conditioning for 24/7 emergency services and your plumbing problem will be fixed in no time! Our considerate and fully insured plumbers are available anytime you experience a plumbing issue, around the clock. Arrival on time, precise consultation, rapid and efficient work are some of the benefits we offer while dealing with your plumbing problem plus we clean up the mess we leave ourselves. At South Orange County Plumbing Heating & Air Conditioning you can be sure that repairs are managed right the first time, because we stand behind every service we deliver. Every fixture upgrade, drain cleaning, sewer pipe installation, kitchen sink unclogging along with many more services is guaranteed. At Orange County Plumbing Heating & Air Conditioning we also offer plumbing maintenance services to keep your residential or commercial plumbing system up and running 24/7 in order to avoid unpleasant emergencies in the future. Regularly scheduled preventative maintenance plans will reduce those unexpected surprises that might interrupt your life, lower your productivity and exhaust your budget. If your heating or cooling system starts to act up in the most inappropriate moment, it is not an option to wait for “appropriate” business hours to fix your problem. 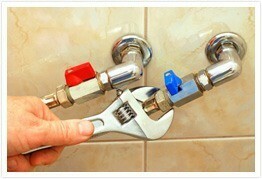 Orange County plumbers will handle your project efficiently and flawlessly. When you need an experienced 24/7 hour plumber in the vicinity, do not hesitate and contact our professional plumbers at South Orange County Plumbing Heating & Air Conditioning. We’re one call away, available 24 hours a day, 7 days a week.